The Bitwig 2.4 update has been announced, it introduces some competitive features – from granular to wavetable synthesis! 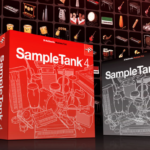 One of the biggest features in the Bitwig 2.4 update, is the newly rebuilt Sampler capable of everything from granular to wavetable synthesis. 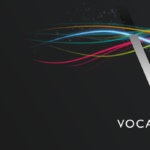 This broadly expands the capability of the entire platform, by putting the Sampler on-par with some industry-leading plugins! The Bitwig 2.4 update also sees the introduction of a redesigned multi-sample editor, with a much more visual approach to layering samples. 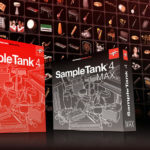 The new Sampler has three unique algorithms to choose from, Repitch is the standard sampler mode, allowing you control the speed of the sample’s playback dynamically via a parameter – it’s capable of going deep into the negative values, creating a reverse effect. 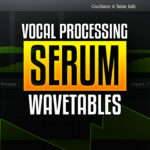 The Cycles algorithm utilizes formant theory to preserve or alter the pitch and speed of the samples independently, this is a great technique for creating everything from the “chipmunk” vocal to deep robotic sounds. Textures is the new granular engine in the Bitwig 2.4 update, it’s capable of stretching sounds beyond the audible range to create anything from soundscapes to abstract artefacts. The Textures module offers three parameters – Speed, Grain Size and Grain Motion. What else has received some attention in the latest update? The Bitwig 2.4 update introduces a new multi-channel MIDI editor, this is brilliant! 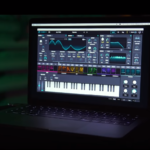 You’re able to edit multiple layers of MIDI channels, all within one MIDI clip, simply by using different colours to represent different channels. 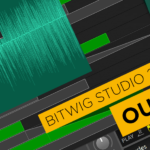 The Bitwig 2.4 update deals with some huge visual improvements, not only in terms of graphics, they’re also attempting to create a more fluid workflow. They have added a new On-Screen Controller Visualization, it gives you a direct reference to what hardware controls are mapped to which parameters in your DAW. They’re about to launch the official Beta, with the launch set soon, check out the Bitwig website for more details.